The new look British Motor Museum opened its doors to the public on Saturday 13 February following a £1.1m refurbishment. 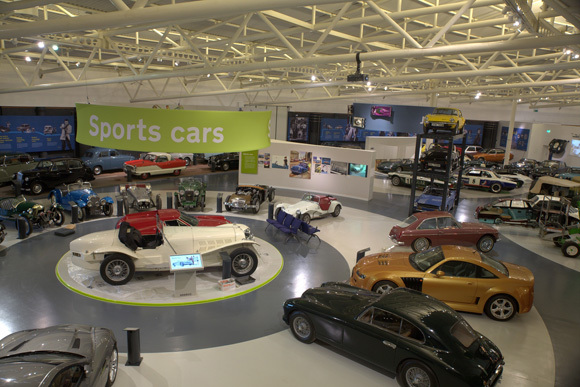 Previously known as the Heritage Motor Centre, the Museum is now a modern display of British motoring history. The Rt. Hon. 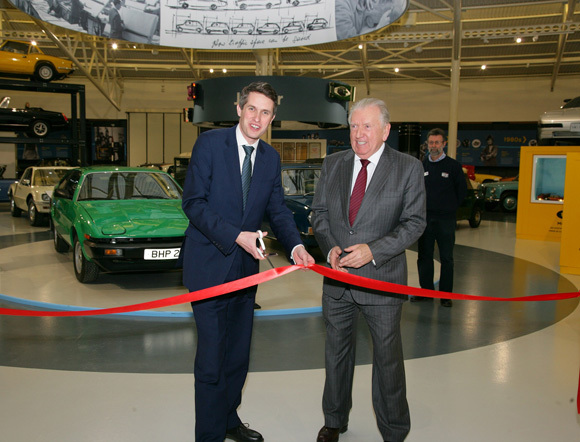 Gavin Williamson, MP, unveiled the new look Museum on Friday 12 February at a private preview event. It was then officially opened to the public at 10am on Saturday 13 February, by Managing Director, Julie Tew and Josh Harden, aged 8. Visitors to the Museum are now welcomed via a new entrance to an introductory gallery which sets the scene and flows into distinctive new themed zones, including ones for Design & Concepts, Jaguar, Land Rover, Royal Cars, Motor Sport, and Film & TV cars. 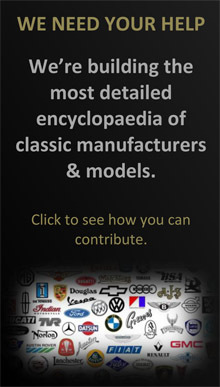 The popular ethos of allowing visitors to get up close to the exhibits has not changed but there are now different ways to view the cars. Many are on raised plinths including a series of Land Rovers on an all-terrain ‘mountain’ and some life-size matchbox style cars. The visitor experience is more interactive and immersive, visitors can now stroll along the Time Road, whilst touch screens provide interactive interpretation telling the cars’ stories in more detail. 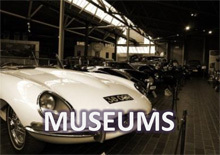 The new Collections Centre also allows public access for the first time to an additional 250 cars from the reserve collections of the British Motor Industry Heritage Trust and the Jaguar Heritage Trust. 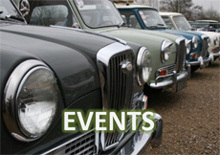 Tours of both the Museum and the Collections Centre will be available daily and can be booked at no extra charge on arrival, (subject to availability).